There is no sign announcing the policy, but a barista on Wednesday declined to take a $20 bill in payment for a short latte and a piece of lemon cake, explaining that the store is not accepting cash. A Starbucks spokeswoman said the store at Second Avenue and University is the only one to test accepting “only cashless forms of payment.” The company isn’t saying how long the experiment will last or whether it will be expanded to other locations. “The test will help us understand how cashless forms of payment may impact our customer experience,” the spokeswoman said by email. Starbucks says its mobile payment and ordering app is a fast-growing success — to the point that last year it blamed slow sales growth at stores on crowding by people who had ordered from their phones. The second-floor Russell Center cafe, dominated by armchairs, couches and at least one chaise longue, is reached from the lobby of the 42-story building, which is the corporate home of the online real-estate company Zillow as well as Russell, an international financial firm. Jonathan Zhang, a professor of marketing at the University of Washington’s Foster School of Business, said it’s likely the Russell Center store sees few cash transactions anyhow. “I would expect in that location that cash represents only a tiny percentage of business anyhow,” said Zhang, who studies and consults with retailers on e-commerce and mobile payments. “They are not giving up much,” maybe 5 percent or less, because the clientele is predominantly white-collar workers who tend to use plastic, he suggested. The Los Angeles-based vegetarian chain Sweetgrass, with 75 locations in California and the Northeast, is reportedly the largest restaurant company to go cashless. Co-CEO Jonathan Neman told an industry conference in September that the decision has worked out well and has not dented its bottom line, reported the tech publication Recode. The no-cash test may open Starbucks to criticism that such a policy discriminates against so-called “unbanked” people — who don’t have a bank account and therefore are less likely to be wielding plastic. Zhang said that equity issue is “the argument people make with any new technology,” but he’s not buying it. “The vast, vast majority of people don’t use cash in the first place” for such transactions as buying coffee, he said. What’s more, “Starbucks downtown is on every corner — I don’t think it creates an equity problem” to test a cashless store. Starbucks, which reports its quarterly results next week, said last January that slowing sales growth was attributable in part to the success of the mobile order-and-pay feature on the company’s mobile app. Signs at the Russell Center store do encourage customers to “Skip the Chip” of a credit-card purchase by using the mobile payment app, but there is nothing to warn of the new policy of not taking cash. 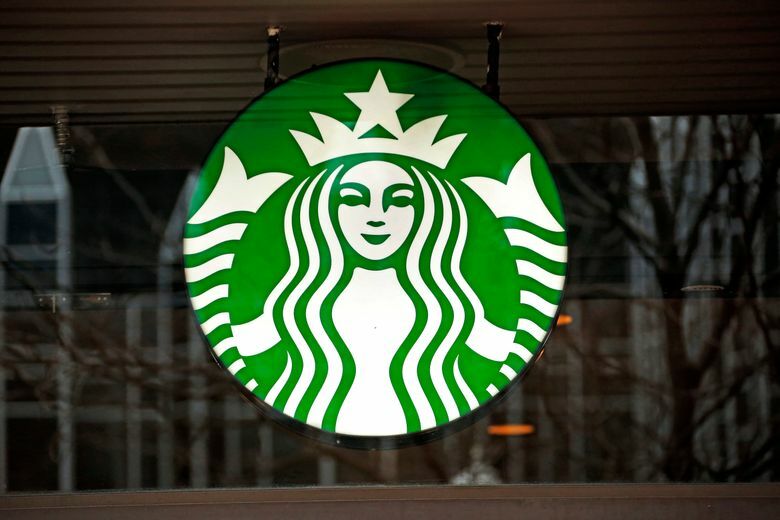 Starbucks did not respond to a request for clarification of its policies at the test store, such as whether it will accept checks and government-issued electronic benefits transfer or “EBT” cards, and whether it expects an impact on “unbanked” customers. A box at the sales register made clear, however, that tips are still accepted in cash.